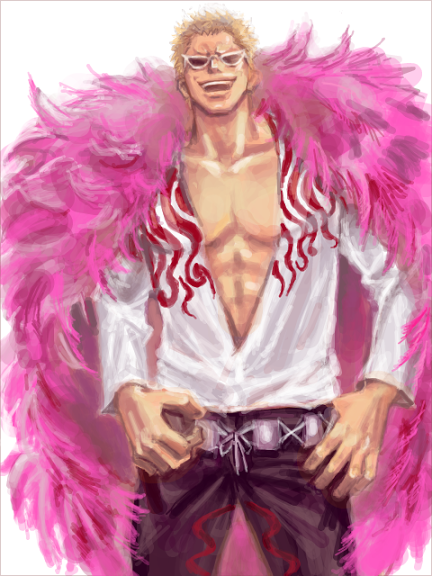 Donquixote Doflamingo is a member of the Shichibukai, captain of the Donquixote Pirates, member of the Donquixote Family, King of Dressrosa and formerly a World Noble. He is also an underworld broker, where he operates under the alias "Joker". His bounty before he became a member of the Shichibukai was 340,000,000.